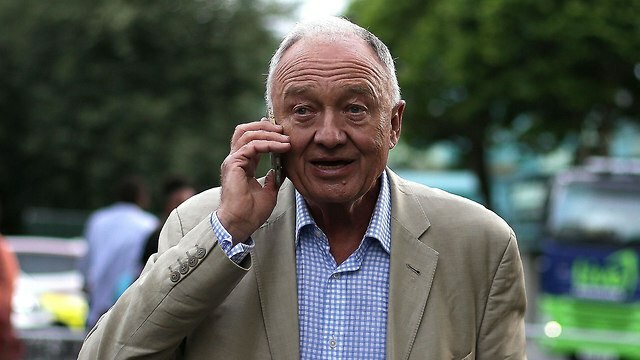 Former London mayor Ken Livingstone has come under fire again for his comments about Israel and the Jewish people, this time for reportedly claiming that it is "not anti-Semitic to hate the Jews of Israel." Livingstone, who was suspended by Labour in 2016 for saying Hitler supported Zionism and then quit the party two years later, last week told a meeting of Jeremy Corbyn supporters that the accusations of anti-Semitism in Labour only began when Corbyn became party leader in 2015, the Daily Mail reported. It was when Corbyn took over as party leader, Livingstone said, that "ghastly old Blairites" began "doing everything possible to get rid of him," and this is "what has fuelled all this stuff about anti-Semitism." According to the Mail, Livingstone said: "The simple fact is, the elite will do everything to stop Jeremy getting into Government." Livingstone was speaking at a meeting of the "Labour Against The Witchhunt" group, which claims that efforts to root out anti-Semitism in the party are a "witchhunt" aimed at bringing down Corbyn. The former mayor resigned from the Labour Party in May 2018, saying that a row over anti-Semitism allegations against him had become a distraction for the party’s leadership. He was suspended from Labour after he said in April 2016 that Hitler had supported Zionism. In a BBC Radio interview, Livingstone was asked to comment on the scandal that erupted after Lanbor MP Naz Shah called to "relocate" Israel to the United States, and responded, "It's completely over the top but it's not anti-Semitic. Let's remember when Hitler won his election in 1932, his policy then was that Jews should be moved to Israel. He was supporting Zionism – this before he went mad and ended up killing six million Jews." He added that, "The simple fact in all of this is that Naz made these comments at a time when there was another brutal Israeli attack on the Palestinians." Livingstone then asserted that there was "well-orchestrated campaign by the Israel lobby to smear anybody who criticized Israeli policy as anti-Semitic." He later claimed in an interview with Sky News that he was merely "stating historical facts." This was also not the first time that Livingstone has bveen accused of making anti-Semitic statements. In 2005, he attacked journalist Oliver Finegold, asking him whether he was "a German war criminal." On learning that Finegold was Jewish, the mayor reportedly said: "You are just like a concentration camp guard, you are just doing it because you are paid to, aren't you? 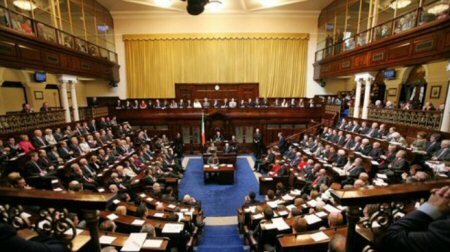 The lower house of the Irish parliament passed a law, on Thursday, preventing the importation or sale of goods from Israeli settlements. The Control of Economic Activity (Occupied Territories) Bill, originally proposed by Senator Frances Black, was passed in the Irish Senate back in January 2018. On Thursday, Irish MP Niall Collins, of the Fianna Fail opposition party, introduced the bill in the lower House (Dail Eireann), where it passed by a margin of 78 votes to 45, with three abstentions. Penalties for breach of the law can lead to fines of up to 250,000 euros ($285,000) or five years imprisonment, PNN reports. Responding to government threats that opposing US policy would lead to economic retaliation, Mr. Collins said that the US had to ‘clean up its act’ in relation to its social and moral responsibilities. ‘We cannot give it a free pass on everything simply because it provides us with jobs,’ he argued. As happened after the passing of the Senate bill, the result of the lower house vote drew an immediate and predictable response from the Occupying Authorities. The Irish ambassador was summoned, as Prime Minister Netanyahu declared Israel to be ‘outraged’ by a bill he described as ‘anti-Semitic’.